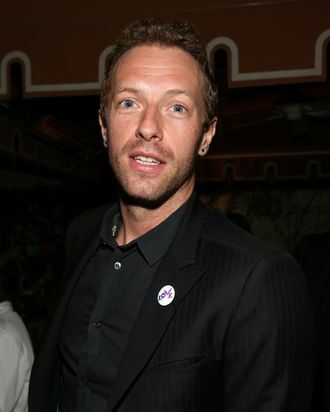 Chris Martin has joined The Voice as an adviser and mentor to the current contestants, NBC confirmed today. His no-doubt gentle guidance will make its first appearance on the upcoming battle rounds on March 31, where he’ll counsel members of all four teams. According to NBC’s statement, Martin will coach the performers on “vocal techniques, stage presence and the importance of tailoring songs to fit their persona and strengths.” So in other words, Coldplay’s Chris Martin is going to … fix them. Let Chris Martin fix you, Voice contestants. Give in.